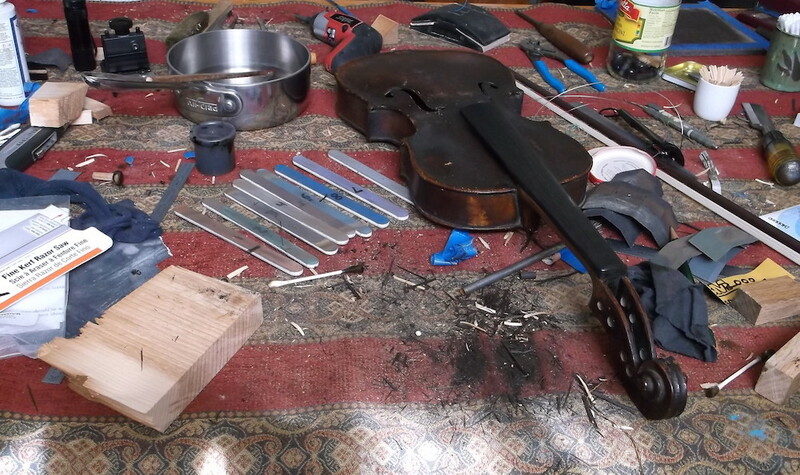 The 1860s violin had a rough life. Through celebration and funeral, joy and woe, work and pleasure, countless songs found voice. Probably a trade instrument, sold to one of the trade musicians who supplied background, accompaniment, and main attractions before radio. First to a right-handed player and later to a southpaw, a well-penciled calendar kept this fiddle busy for decades. At some point, perhaps in the 1920s, the peg box could take no more abuse. Donated to a church, and into a closet it rested, used as backup to the backup. Neighborhoods change. The church moved. At their giant rummage sale this gem made its way onto a long folding table covered with relics. Purchased and sold yet again, changing hands from New England into the Keystone was a welcome destiny. 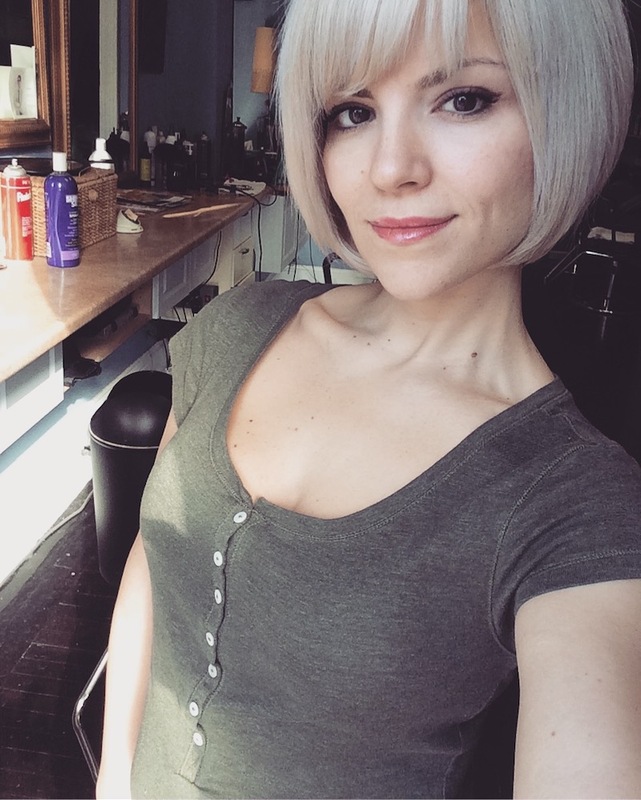 This time not to play second fiddle. She is getting the full spa treatment! She’s getting peg hole bushings. I ream the peg holes back to round, insert and glue fitted boxwood peg hole bushings into the holes, and cut them flush with the peg box. Then the bushings get drilled and reamed for new pegs. A lovely experience for any fiddle, the excitement of momentarily returning to life as a violin! But those protrusions of extra bushing are not going to surrender placement without a fight. 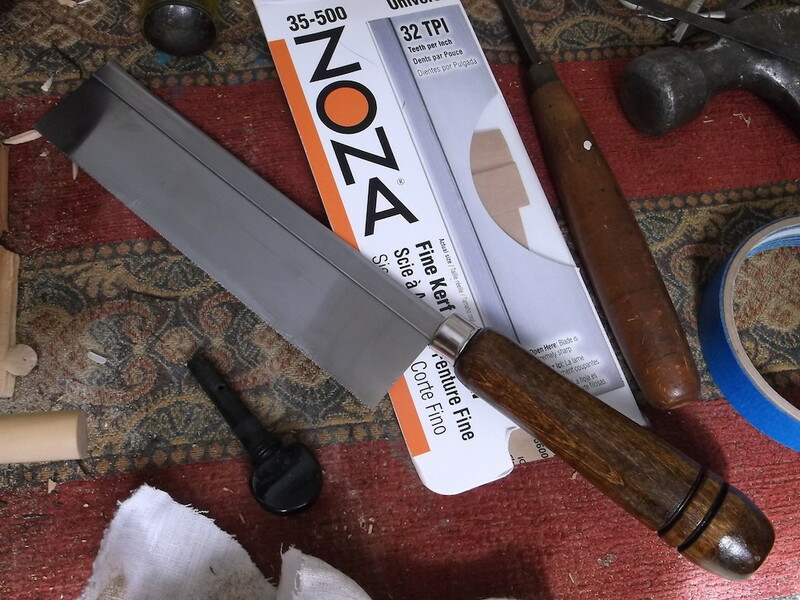 Just in time, I discover Zona and their lovely razor saws. With this precision blade I’m able to safely cut within a couple hundredths of the peg box. Far less wood to slice away with my chisel. Papa always said, “Stick with what you’re good at”. I’m better at cutting wood than shaving wood, so there you go! 1860 nears completion. With D’Addario 4/4 Helicore Low Tension strings, 1860 will again be kicking up the hootenanny and serenading lovers, young and old. This entry was posted in Craftsman / Artist, Product Review and tagged jim sergovic luthier, luthier saw, violin bushing, zona razor saw. 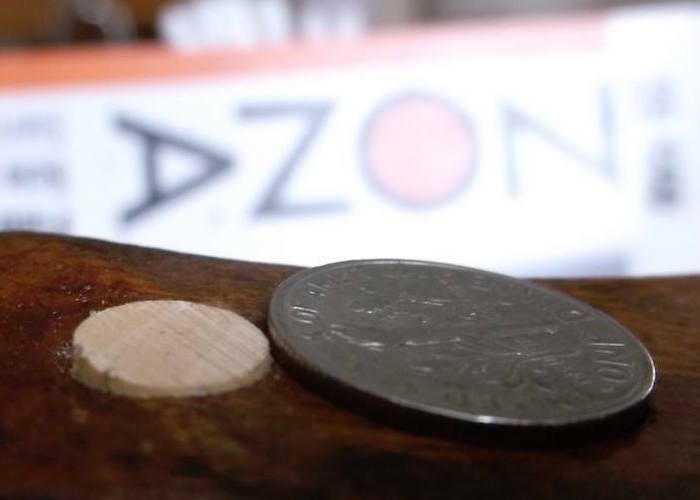 An 8.5mm peg bushing recently trimmed with my new ZONA Razor Saw. Next to a thin new dime for comparison.